Plants were pioneers—the first organisms to colonize dry land. Adapting for life on land required several key modifications. Gymnosperms are seed plants with a protected cone or other body for their seed embryos, such as conifers (evergreen trees), seed ferns, and cycads. Plants originated in the nourishing environment of the water. Life on land required plants to develop a way to reduce water loss and the drying effects of desiccation. This protection came in the form of a waxy outer covering called a cuticle. The cuticle is a thin, impermeable covering that grows on the outside surface of the exposed parts of a plant. In addition to slowing water loss, the cuticle may sometimes protect a plant from the harmful effects of ultraviolet solar radiation—a danger that was more acute for the first land organisms than it is for today's because in the Early Paleozoic Era, Earth's atmosphere was still developing its protective ozone shield. Angiosperms, the flowering plants, utilize flowers to attract pollinators, and some encase their seeds in fruits to aid in their dispersal. Plants need to breathe; this, too, posed a challenge for the first inhabitants of the land. Now that they no longer were immersed in water, plants on land needed to develop a new physiological technique: a way to grab carbon dioxide molecules from the air. Plants evolved a network of tiny pores on their outer surfaces for this purpose. Called stomata, these pores enable an exchange of gases between the plant and the outside air, making photosynthesis possible. Plants living in the water are held up or suspended by the buoyancy of the marine environment. On land, larger plants must lift themselves from the ground so that they do not collapse under their own weight. This is accomplished by a skeletonlike structure of stems, branches, and trunks that gives strength and shape to land plants. Early land plants evolved such structures and, as a result, expanded their habitable environment in a vertical direction. This dramatically—and literally—increased the range of terrestrial plants over and above the flat surface of the ground, making possible taller plants including trees. The vascular systems of land plants were another key evolutionary innovation that enabled such plants to thrive. These systems improved the plants' ability to conduct water and nourishing minerals to different parts of their structures. Roots evolved as a specialized means to absorb water. These increasingly effective methods of providing food and energy led to the growth and diversity of all kinds of plants. One final challenge for plants living on land was to find a means to reproduce effectively. In the marine environment, plants passed sperm to egg through the medium of water. Plants in a terrestrial habitat evolved many different solutions to the challenge of achieving the union of sperm and egg. Most of these solutions depend on reproductive cells called spores. Spores can be blown through the air, transported by available surface water, and transported by pollinating insects to make plant reproduction possible. 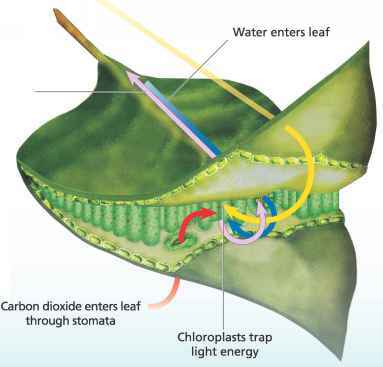 Plants nourish themselves through photosynthesis. Using a network of tiny pores, or stomata, on their outer surface enables plants to exchange gases with the outside air, allowing them to breathe. share with some animal groups the internalization of vital body systems such as sexual organs, the development of a protective outer skin, and functions such as gas exchange. How water in plants body? What are the dangers of adaptation of plants on land? 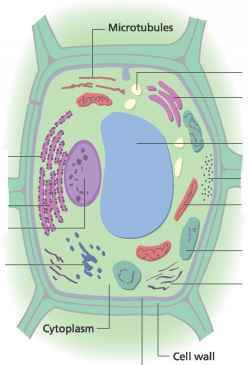 What is the adaptation of plants to life on land from evolution? What structural adaptations enable plants to live on land? How do angiosperm adapt themselves on the land? How do angiosperms adapt to living on land? How angiosperms are adapted to life on land? How do angiosperms adapt themselves on life on the land? What is the adaptation strategies of seeds plants that can survive on land? 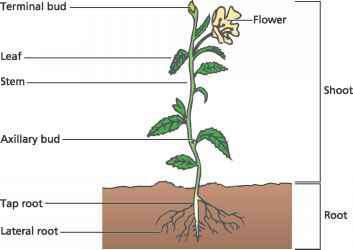 What are the gaseous exchange that allow taller plants to survive on land? What are the various adaptation strategies of seed plant to survive on land? How plants adept to land environment? How plant adept to land enveroment? How plant adept to land environment dpl? How is dessication an adaptation strategies of seed plants to survive on land? How angiosperms are adapted to living on land? How gymnosperms survive on land? How are Gymnosperms adapted to their terrestrial life? What characteristics help angiosperms adapt to life on land? What makes gymnosperms adaptive to terrestrial life.? What are some adaptations that allow plants to survive on land? How are the gymnosperms adapted to terresterial life? Which were the first terrestrial plants what adaptations do they have to survive on land? How adaptation of plant life on a land? What are the adaptive features of gymnosperms? How have plants adapted to land? What is adaptation of plant in water and land? What are the adaptation of gymnosperms to terrestrial life? How is a leaf of a gymnosperms adapted to terrestrial life? What characteristics which make gymnosperms adapt to terrestrial life? What are the importance of adaptation to live in land? How seeds improve adaptation in plant on land? What is the evolutionary significance of pteridopyta to live on land? How angiosperms are adapted to terrestrial life? What adaptations do gymnosperms and angiosperms have that allow them to be terrestrial plants? How angiosperms are structurally adapted to terrestrial life? How angiosperm are structural adapted to terrestrial life? What is the structural and functional adaptation of plant to terrestrial life in dry environment? What are the first group of plants that adapted the terrestrial environment? 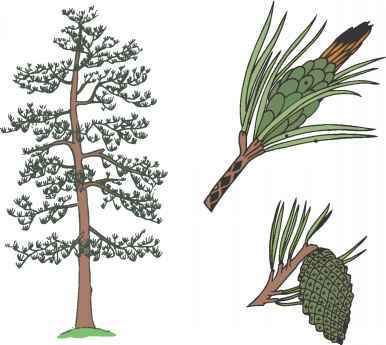 How pine plants are structural adapted to live on land? What adaptions do gymnosperms and angiosperms have for them to be terrestrial plants? What adaptations do gymnosperm and angiosperm have that allows them to be terrestrial plants? What makes Pinus plants survive a terrestrial mode of life? Why are angiosperms suited to life on land? 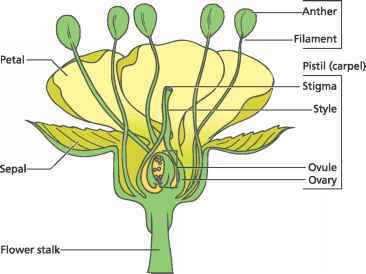 How are Angiosperms for a Terrestrial mode of life? How angiosperm adapt to terrestrial habitat? What is angiosperm adaptation to the terriestial environment? How do angiosperms adapt flr terrestrial mode of life? How pine are more suited to life on land than fern? How are seeds structurally adapted to life on land? What makes the gymnosperms to survive in terresterial life? HOW PLANTS ARE ADAPTED TO SURVIVE ON LAND? What adaptations have allowed land plants to survive on land? What are the adaptive feature of spermatophyte to life on land? What are the adaptation of seed plant to terrestial habitats? What structure do plants use to adapt to terrestrial habitats? What feature enabled plants adapt to terresterial environment? What are the adaptive features of of spermatophyte to life on land? What are the general adaptations of plant species living in la county? How plants adapted to life on land? How are gymnosperms adapted to survive? How do flowers enable angiosperms to survive on land? How were cycads adapted to the environment? How have prehestoric plants adapted? What are some adaptions that allow plants to live on land? Why fern can live on land? Why are flowering plant are adapted to live on land? How plants adapt to land environment? Which is an adaptation of plants to living on land:? What plants enable themselves to survive? Why seed plants allow to reproduction on dry land? How do seeds make plants better adapted for survival? What are some adaptations of land plants to solar UVB radiation? How are seed plants gametophytes adaptations for living on land? How are seeds adapted for terrestrial life? What are the special adaptations of plants to the land environment? What are the 5 adaptations that plants make to live on earth? How have seed plants adapted to land? How are seed bearing plants adapted to life on land? How are angiosperm adaptations to life on land? How do angiosperms prove that they can adapt to survie on land? What adaptations do plants have to make to live on land? What were some of the adaptations required for plants to colonize land? What are the adaptations of plants to land enviroments? What were three adaptations plants needed in order to survive on land? What adaptations are especially important in the history of land plants? What characteristics do plants have for terrestrial life?